We offer leaf removal services in the fall. Leaf removal can definitely be tiring and tedious, but can be very important, so allow us to handle this task for you! 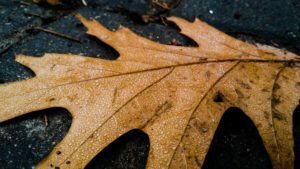 If you have a thick layer of leaves currently blanketing your lawn it might be time to call Turf Managers, and take part in the fall cleanup services. A lot of people make the mistake of ignoring their lawns once the weather gets colder. For many, that leads to an unhealthy lawn in the Spring. Why put in more money and more work, to get it back into shape, when you can just keep it healthy from the start? Fall is also a great time for maintenance and for installing fall flowers. If you have large, beautiful trees in your yard, we know that cleaning up the leaves may feel like a never-ending battle. It’s important to keep the leaves from smothering your lawn. Heavy, wet leaves and branches can breed disease, smother your turf, and prevent it from thriving come Spring. Leaves can block your grass from receiving sunlight, and could result in a spotty lawn when the grass starts to grow back. If you need leaf removal services, don’t hesitate to give us a call. 615-269-7706. As part of our fall cleanup services, Turf Managers will also mow your lawn. Keeping it short for the winter will keep it healthy. You also don’t want to forget about lawn maintenance in general. We also recommend aerating and fertilizing your lawn in the fall. If you don’t have the time, energy or resources to clean and maintain your lawn, we are happy to help! As Middle Tennessee soil experts, certified through the Tennessee Department of Agriculture, we are committed to creating and maintaining healthy lawns and outdoor spaces by offering a full list of services. From leaf removal, to pest control, aeration and seeding, irrigation winterizations, and mulching we truly do it all! To set up an appointment, give us a call today at 615-269-7706.